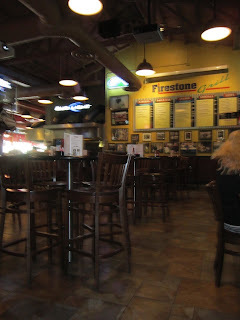 My brother, sister, cousins and probably everybody else in the world has been to the Firestone Grill in San Luis Obispo. They rave about, dream about it and stop by the restaurant when the area. I, Melissa Good Taste, had never been. So the girls and I gave it a go! You can wait in the hideously long line to order or grab a seat in the bar area have a waitress come to you. We choose the second option and waited for a few friends of Shannon's to meet us for lunch. While we waited I ordered a basket of Onion Rings. They were great! They served their signature BBQ sauce with them and it sold me. I had to order something smothered in sauce! 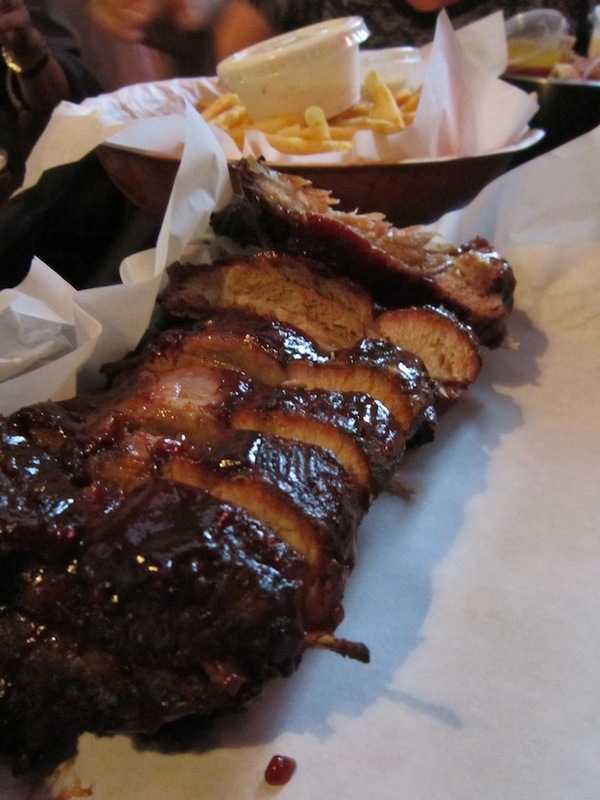 So why not the ribs? I thought they were very good. Tasty, tender and smothered with that wonderful sauce. I ate half of my order and brought the rest home to Scotty boy. He thought they were pretty tasty too. The Tri-Tip Sandwich -This is what everyone orders when they come here. 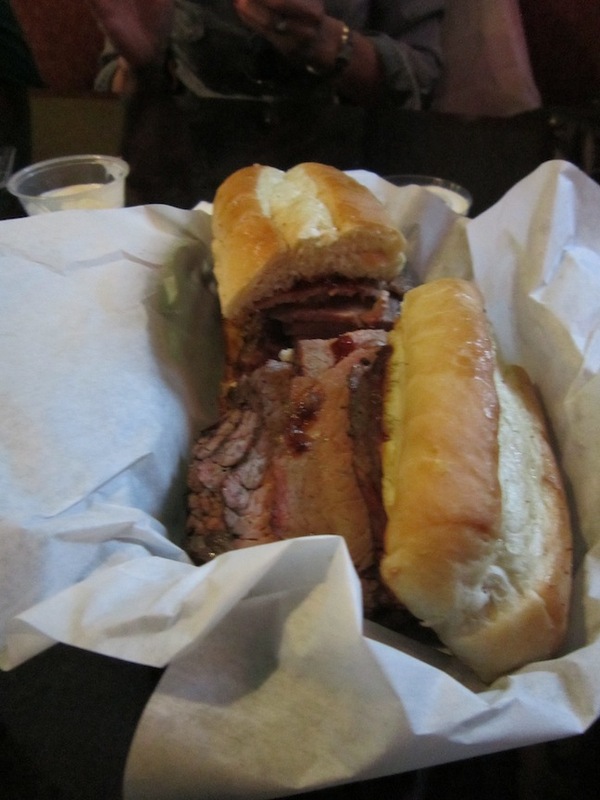 The tender tri-tip, garlic toasted bun and BBQ sauce make for the perfect lunch. It is a large sandwich so most of the girls took half wrapped up to go. 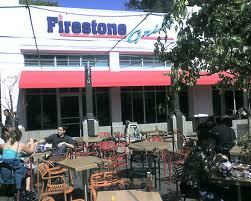 What did I think of the Firestone Grill - It was good. Would I go back? Sure, those onion rings were fantastic! And, the Dr. Pepper was refreshingly delicious.